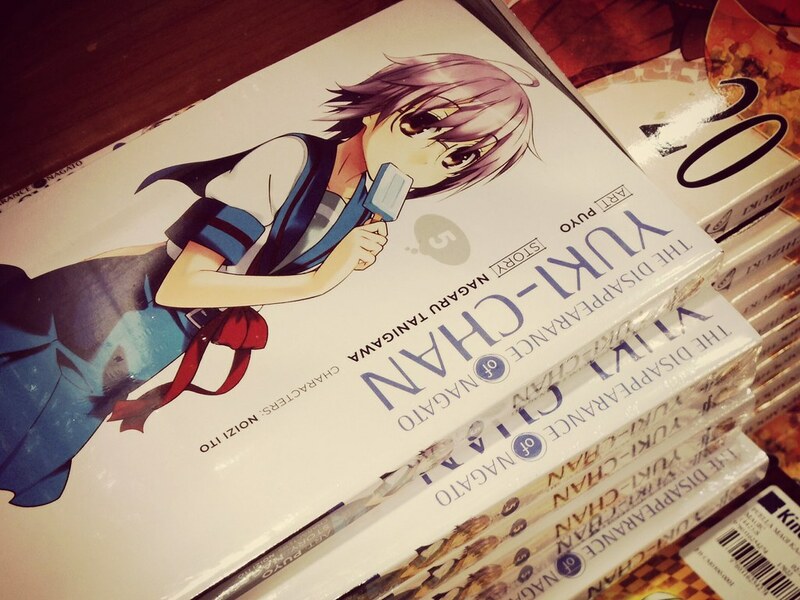 As Ruben posts, today (yesterday now) we managed to pick up a copy of the fifth volume of The Disappearance of Nagato Yuki-Chan after we were alerted to its release by none other than our good friend Seb, via Twitter. You can imagine my surprise, since the volume is scheduled to be released on February 18 and yesterday was clearly earlier than that! You have to push the clock even further back if you factor in timezones as well. Admittedly, this is the US date, so perhaps this is again one of those instances where Australians actually get a headstart over other countries for once. You can head over to Ruben’s post to read more. The 6th volume of this series in Japanese has also recently appeared in Kinokuniya in Sydney, but it will still be a while before we get our hands on an English version. Ruben flatters me, but while Ruben is my Kyon, I admit I like Ruben’s personality quite a lot more (shh).